3C442A is a system with two merging galaxies in the center. X-ray data from Chandra show that a role reversal is taking place in the middle of 3C442A. 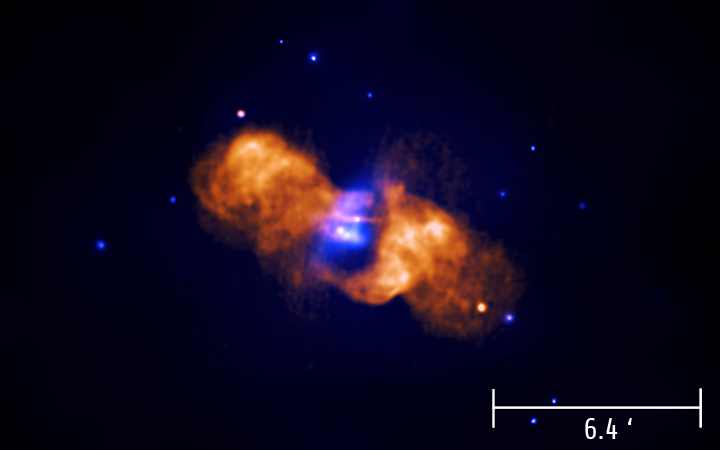 Chandra detects hot gas that has been pushing aside the radio-bright gas. 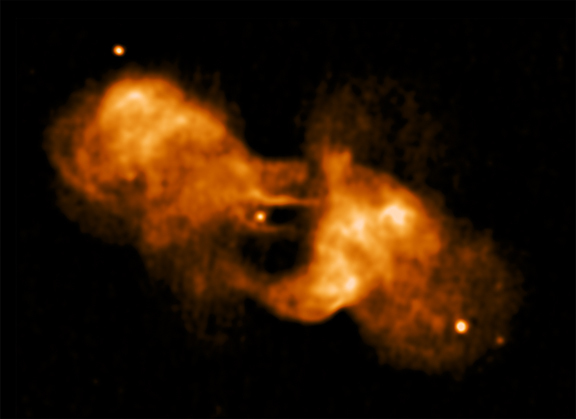 This is the opposite of what is typically found in these systems when jets from the supermassive black hole in the center create cavities in the hot gas surrounding the galaxy. Astronomers believe an impending merger with another galaxy has caused the unusual dynamics in this system. Radio observations from the NSF's Very Large Array (VLA) show that a role reversal is taking place in the middle of 3C442A. 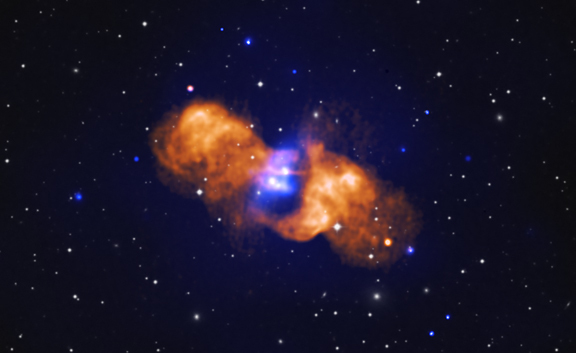 Hot gas (shown in the Chandra image above) has been pushing aside the radio-bright gas (orange). 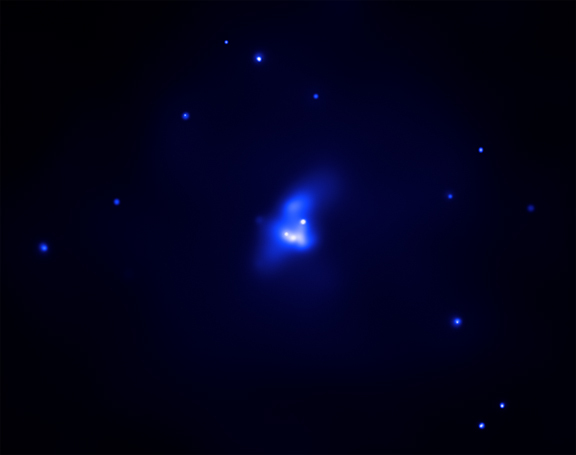 This is the opposite of what is typically found in these systems when jets from the supermassive black hole in the center create cavities in the hot gas surrounding the galaxy. Astronomers believe an impending merger with another galaxy has caused the unusual dynamics in this system. 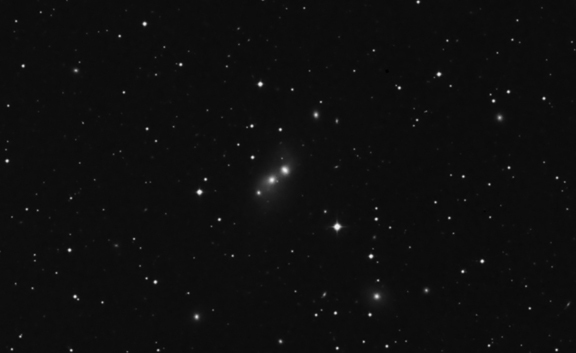 This image from the Digitized Sky Survey (DSS) shows 3C442A in visible light. The field of view is the same as the Chandra image.